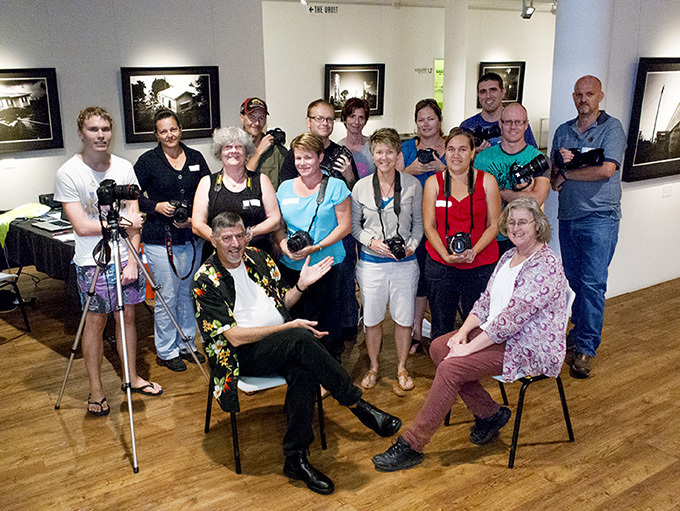 We have just finished our artists-in-residence at the Grafton Regional Gallery. It was an amazing month and a wonderful opportunity to engage with the community and create art! Artists in Residency programmes are an important opportunity to break out of the home/studio/teaching role routine to exchange or explore new ideas in a totally different environment. We consider our time in these residencies as essential to our practice; it transforms how we work and brings fresh ideas into our work. 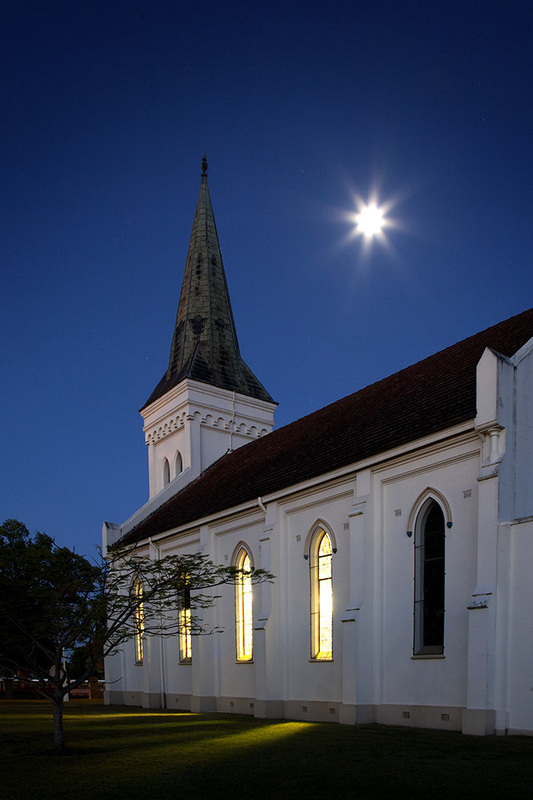 Integral to our projects is the immersion in each place and connecting with community and local narratives of place. 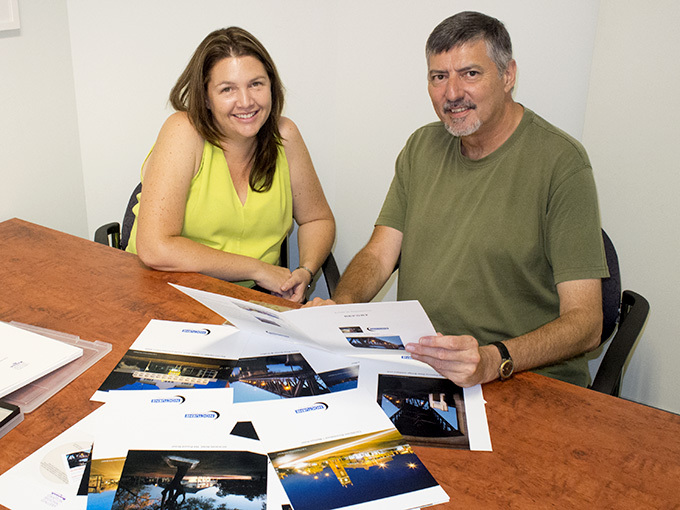 Our time in Grafton was a remarkable: the community, its everyday stories and the imposing presence of the Clarence River all contributed inspiration for our creative work. 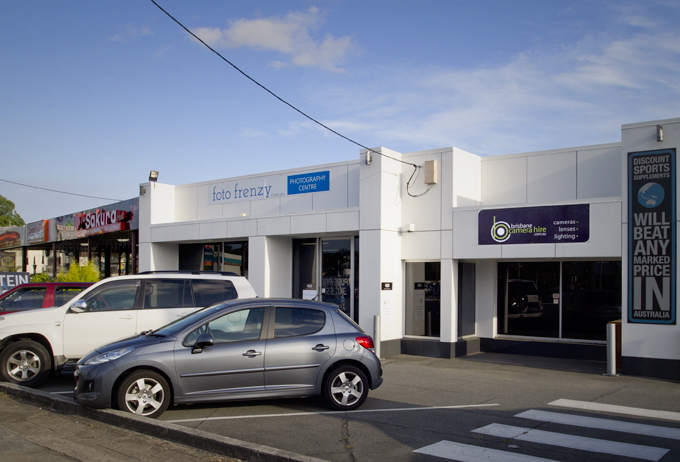 Our project was to create images of local places that to us visually evoked a narrative. The places were selected from our exploration of the town, researching local knowledge, and conversations with people we met. 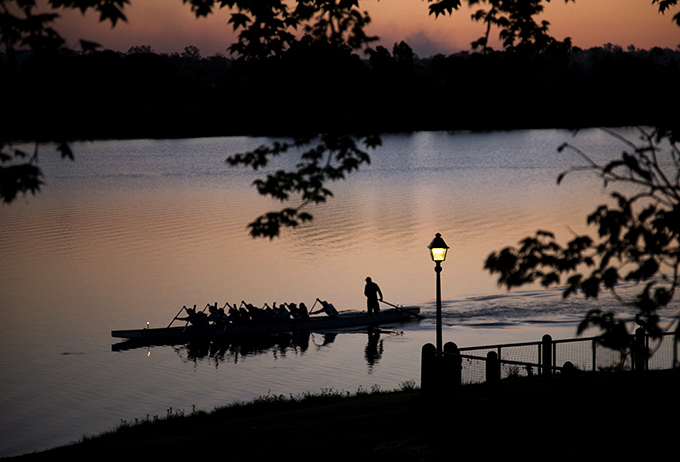 We sought places that were best illuminated by nocturnal light (late afternoon and early evening light). 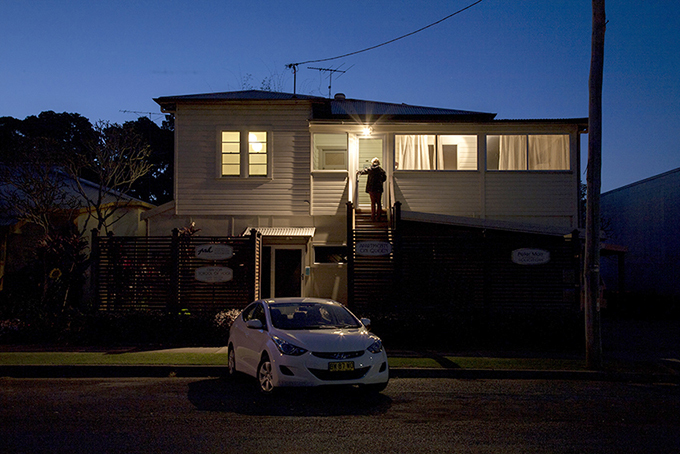 This light only lasts around 30 to 60 minutes, but its transformation of everyday places can be powerfully evocative. 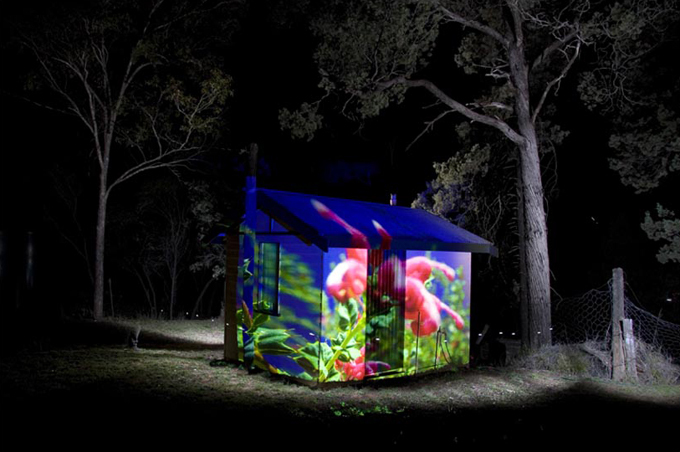 Our work in this time is intense and our awareness of the visual qualities of different spaces is deepened. The history and lived experience embedded in each place seems to ‘speak’ and we ‘listen’. 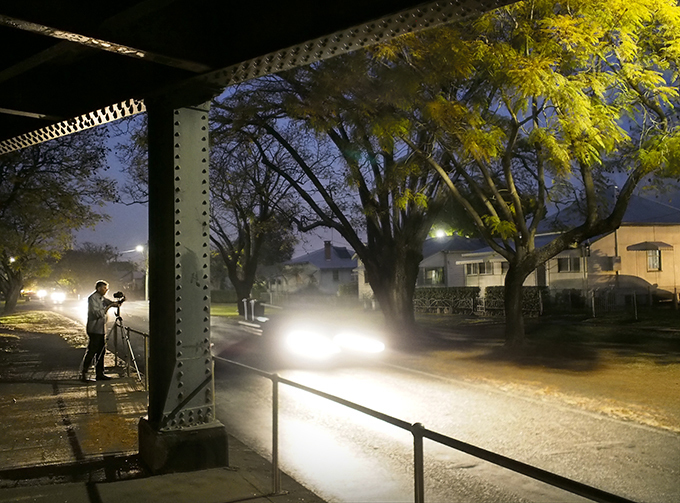 After each shoot we return to our residence to reflect, select and optimize our visual reconnaissance of nocturnal Grafton to then upload and ‘share’ online through Facebook and a blog. Through this sharing of our work we connected with a community and their stories in each place. 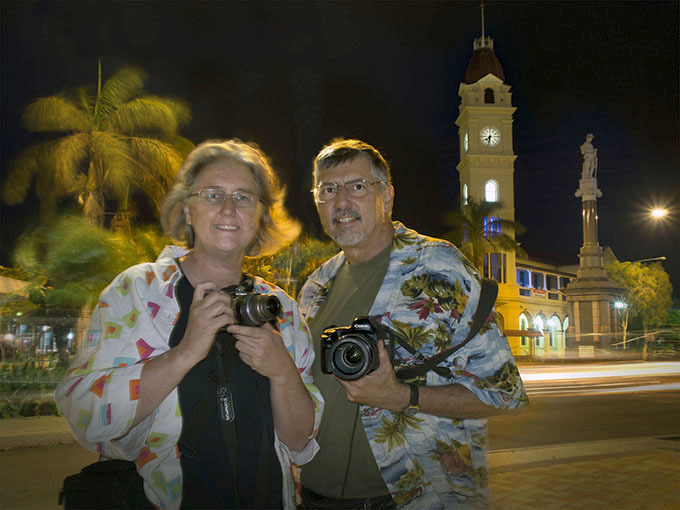 Personal and historical accounts of these places brought our images to life. For us, this is where the art that exists – between our initial inspiration and local lived experiences. 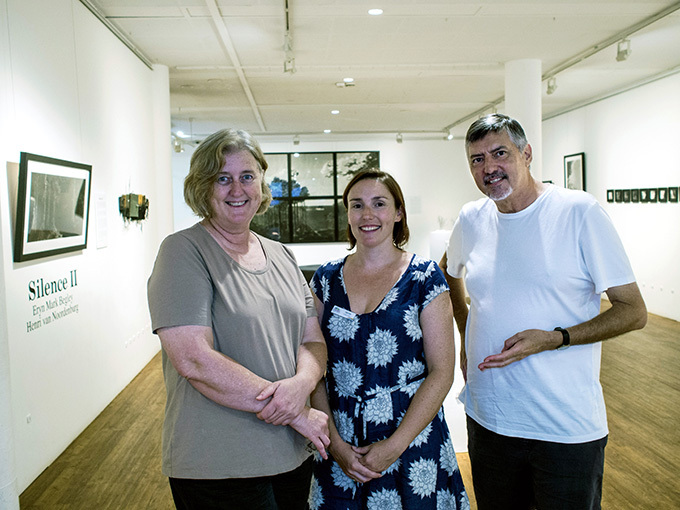 To extend the exchange that was integral to our project we also were involved in artists’ talks for schools, and other visitors to the Grafton Regional Gallery. 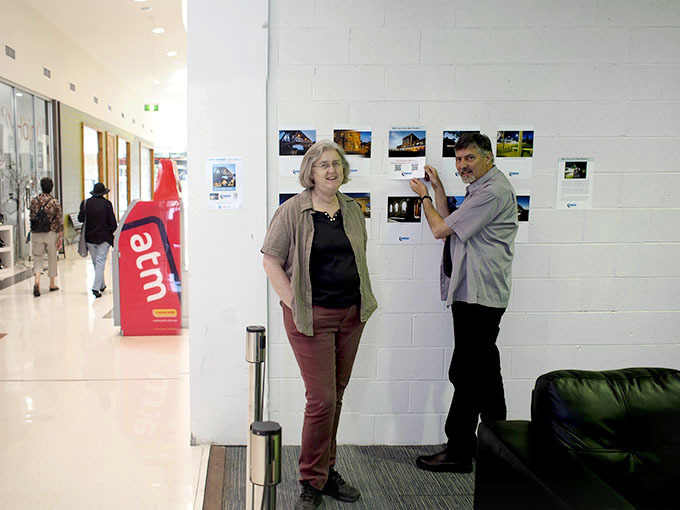 We set up and attended two small displays of our ongoing work: one in the gallery and another in a vacant shop at the LINK arcade in the main shopping precinct. 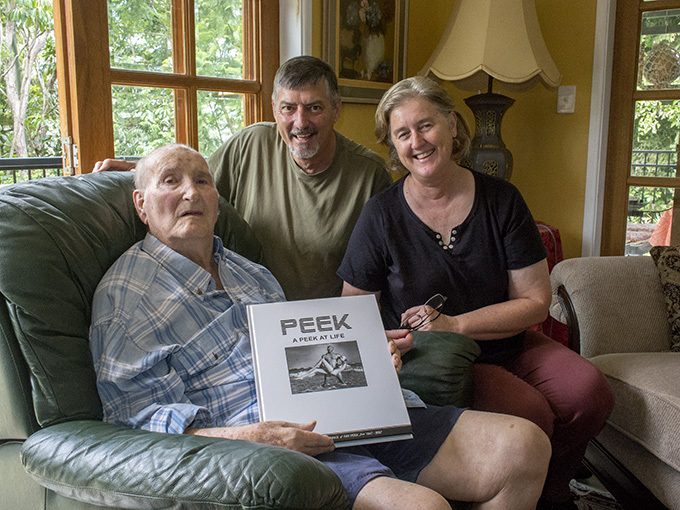 Doug and I had a very dear friend, Charlie Snook, who was a strong supporter and participant of the local camera club. 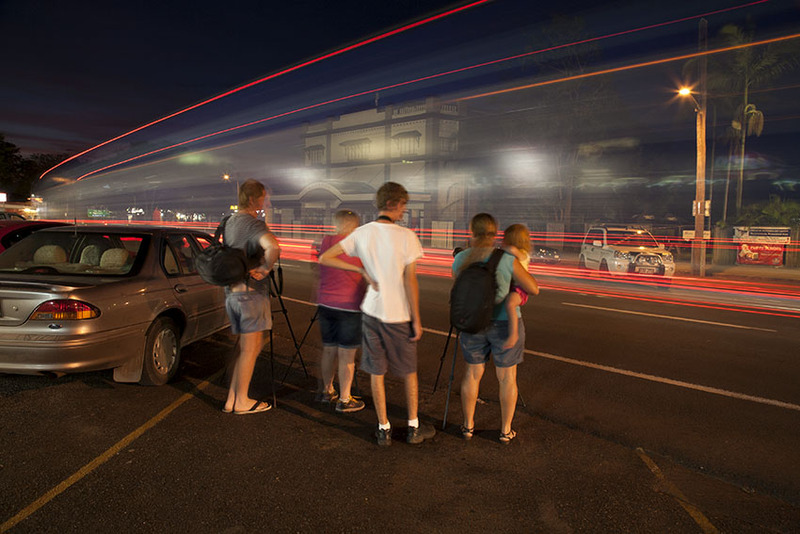 So it was important for us to be able to connect with this enthusiastic group of photographers. 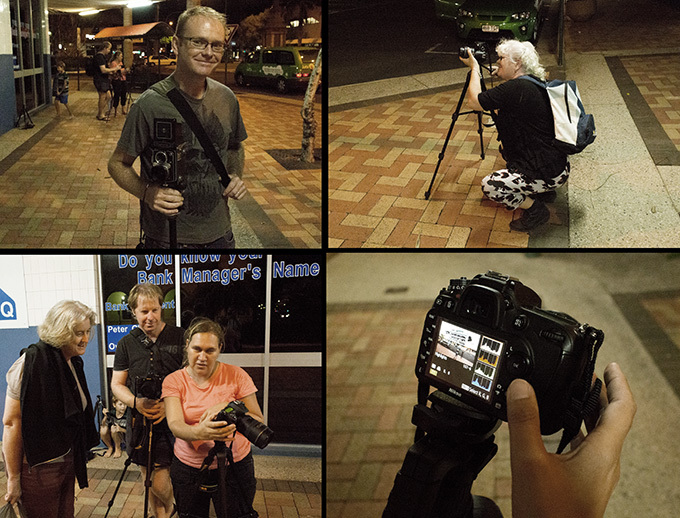 We gave an evening talk, shared two of our nocturne shoots as photographic outings and judged their current assignment work. It was privilege to be invited to their 50th anniversary dinner held on the last weekend of our residency and a great way to finish our time in Grafton. 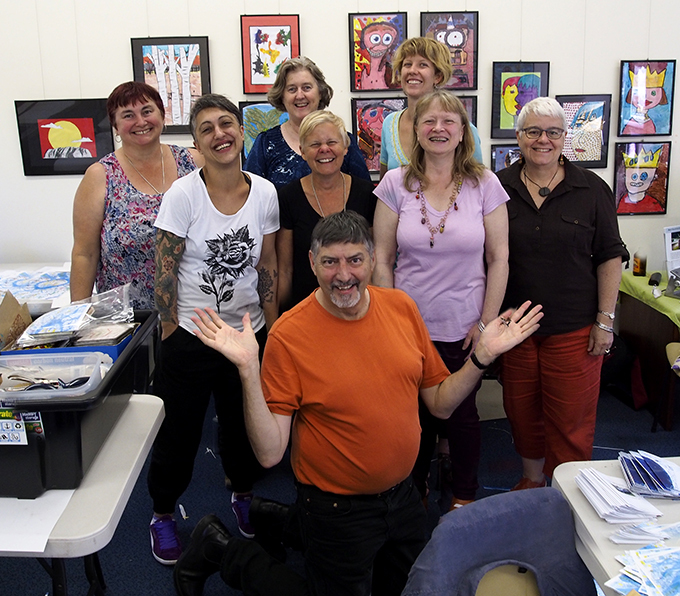 We organized an activity to involve local and regional artists as well as a Brisbane arts professional in a collaborative artists’ book project. Under the auspices of the Centre for Regional Arts Practice, an organization created and coodinated by us, we held an activity over the weekend of September 21and 22. 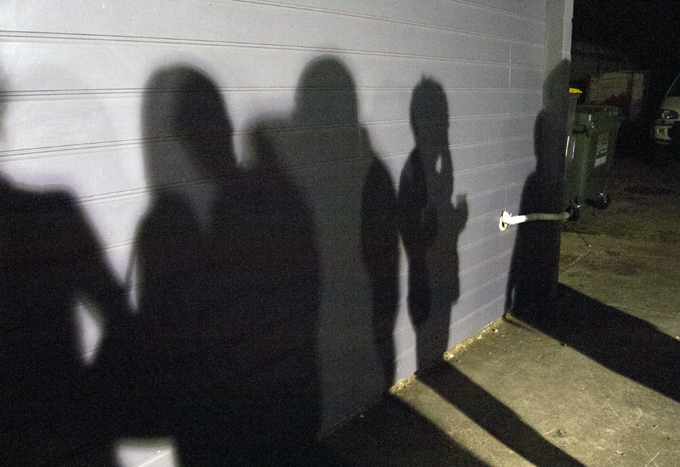 This collaborative event produced 60 copies of the C.R.A.P. Artist’s Survey Number 15, the theme of this survey was ‘the regional arts worker as a nomad’. 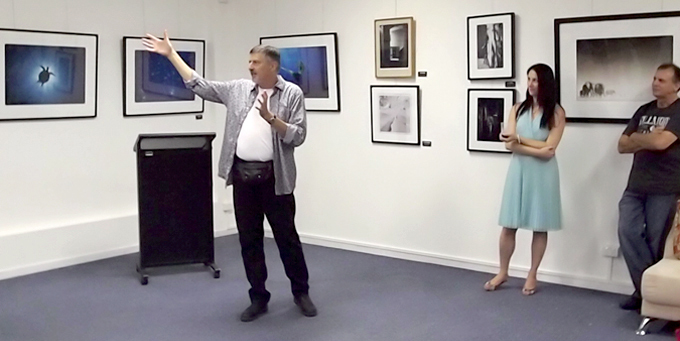 Copies were shared amongst the participants while some were then set aside for donation to major collections including: The Grafton Regional Gallery and the State Library of Queensland. 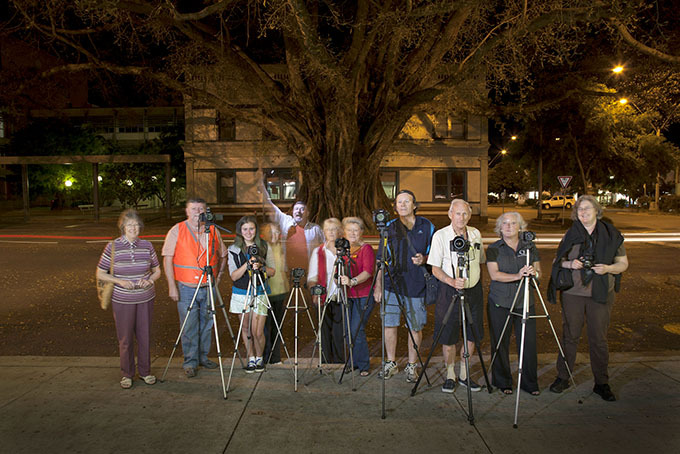 We were excited by the considerable support of and interest in our project from Grafton’s newspaper, The Daily Examiner, publishing separate stories, a front-page photograph and a weekend feature. 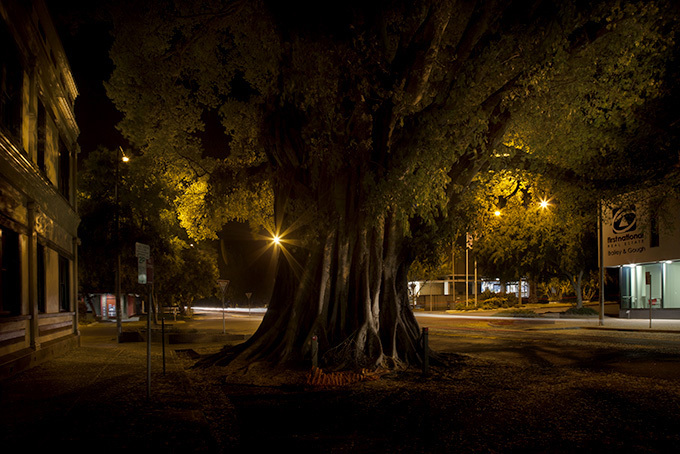 Support also came from Senator Ursula Stephens shared the page and added ‘Grafton is the great Jacaranda city on the NSW north coast and the Nocturne Project is a wonderful example of celebrating local landmarks and building community identity. Love it!’ – was also an unexpected acknowledgement of our project. We visited the Grafton Historical Society and found a treasure of knowledge and information together with a willingness to assist in our research. During the month of September the project had 410 page ‘Likes’ and achieved a total viral reach of around 65,000 people. 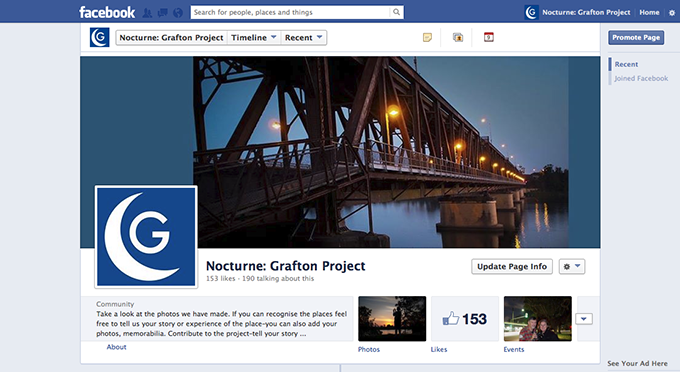 65% of the Nocturne Grafton fan base were women (the Facebook average is 46%). The main engaged age group were women 25-34 years @ 17% of the total (the FB Average is 12%). 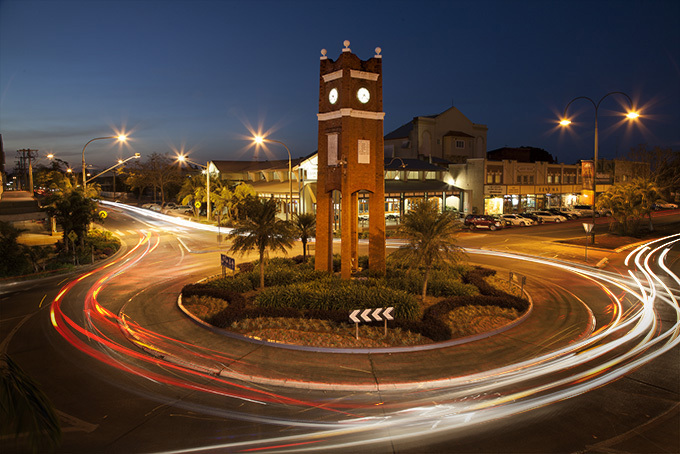 The most popular post was the Clocktower roundabout from Weiley’s Balcony, which attracted 4,500 views and 274 likes, 37 comments and 44 shares (some of the reach was boosted). Interpretation of Facebook analytics is an interesting task and one that we will be reviewing over the next few weeks. We will maintain the Facebook page as a place for continued conversation. 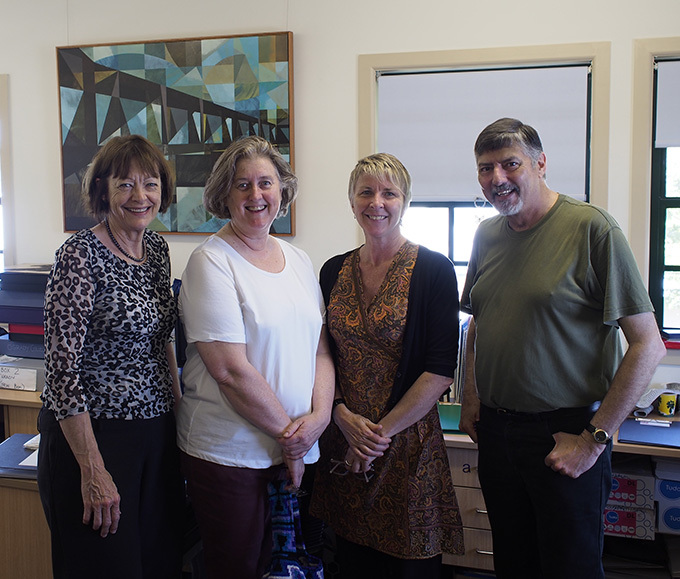 At all times during our residency an energetic and professional team, Jude McBean GRG Director, Cher Breeze, Avron Thompson and many dedicated volunteers at the Grafton Art Gallery provided valuable assistance, advice and stories. 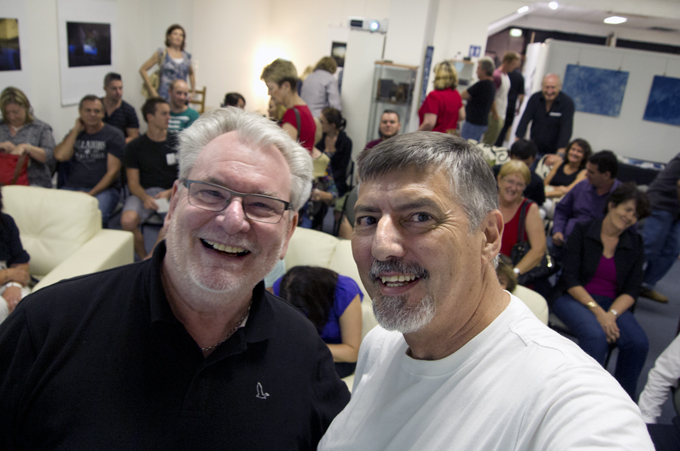 With the vision and support of the Gallery the residency was for us a transforming experience and our time at Grafton Art Gallery was highly productive. And a BIG thank you to all our Facebook Friends who supported the project by their ‘Likes’, ‘Comments’ and ‘Shares’. The final visual outcome for the project will be in the form of the continued online presence, artists/photo books and exhibition of image work. 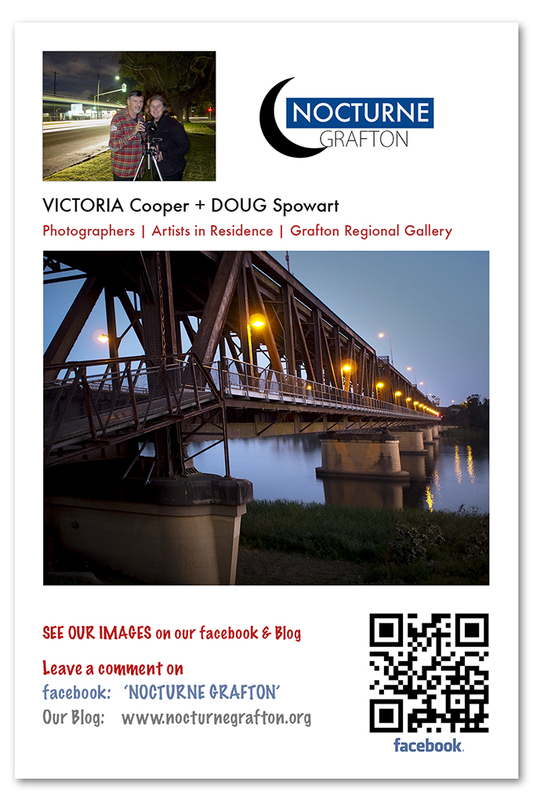 These artworks will reflect on the collaboration between our photographs, the social media project and the Grafton community. Peter Hunter OAM, ARPS, AFIAP: Victoria and Doug. 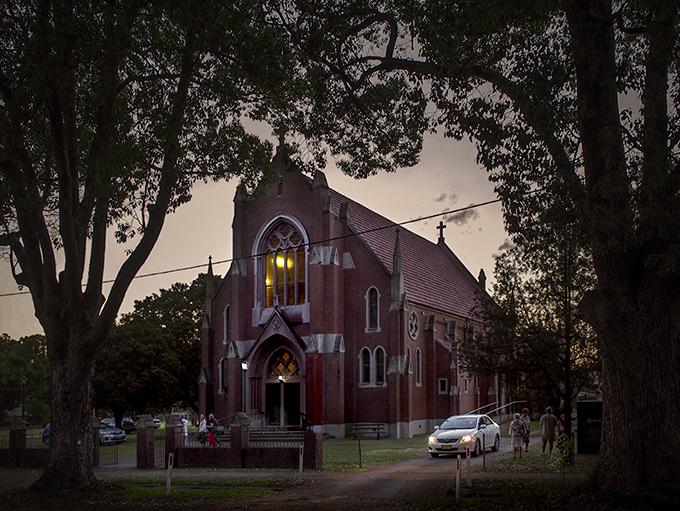 I am really impressed with your photographs of Grafton at dusk. Your very impressive skill at taking a very ordinary subject and creating a great photo from it by using super composition, creative evening light and long exposure has resulted in a wonderful collection. I hope that they will be archived for posterity. 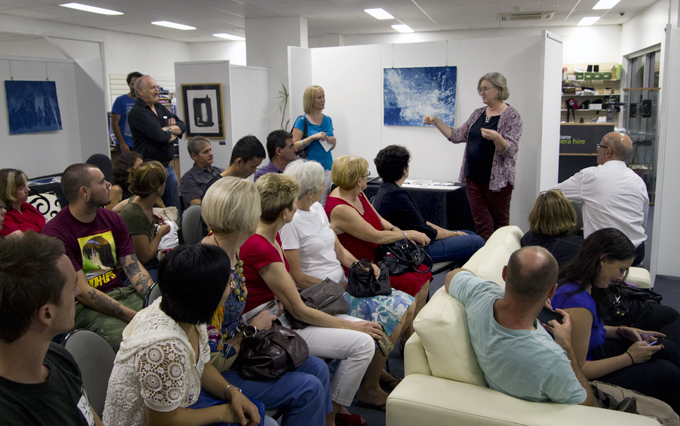 Marlene Szepsy: I have really enjoyed your way of sharing and bringing art to the community. A great artists in residence project. Thank you. Stephanie Haines: Thank you for the beautiful photos… they made us all look at our town in a new way. 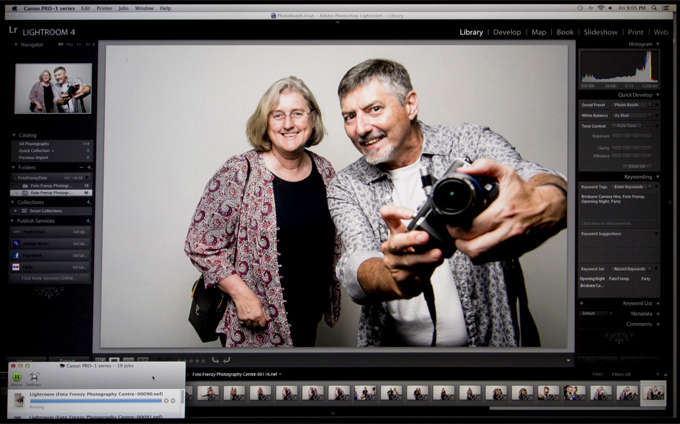 We are now in Brisbane participating in an Artist in Residence @ Foto Frenzy in Coorparoo. On Wednesday evening we presented an artist’s talk about our previous residencies and our approach to ‘Place Projects’. 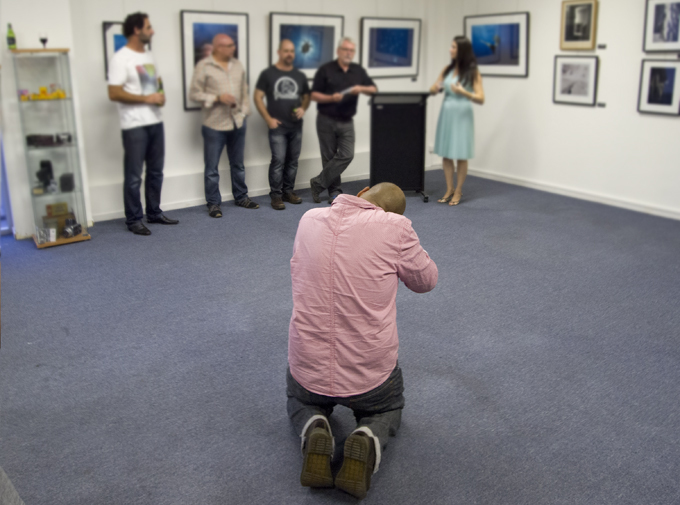 The event was attended by around 40 photographers, artists and students. The exhibition will be on show on Easter Monday April 1st and Tuesday 2nd of April – We will be in attendance at the gallery between 11.00 am and 4.00 pm on those days. 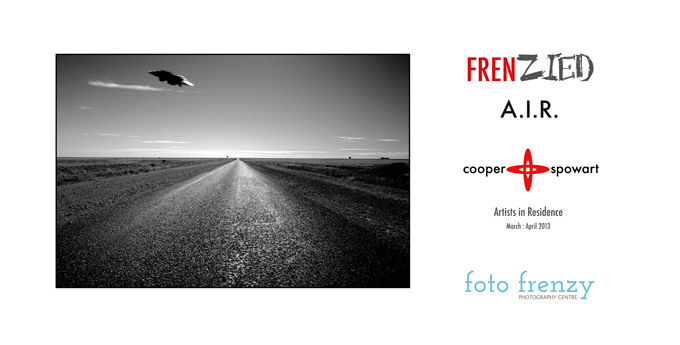 We are also presenting a series of workshops @ Foto Frenzy–for details visit the website WWW.WOTWEDO.COM. 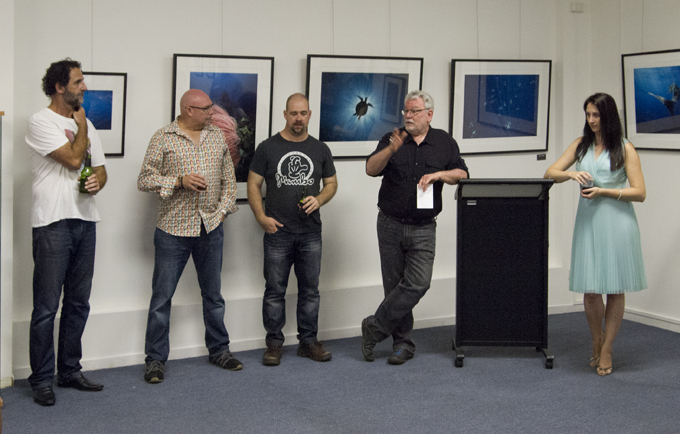 Ian Poole, a Director of Foto Frenzy, opens the exhibition. 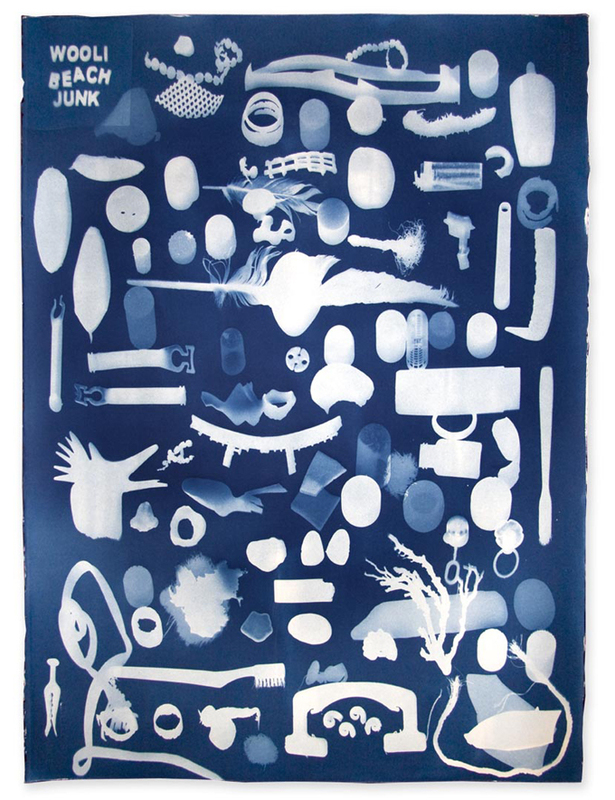 The exhibition features a selection of Camera Obscura works, Projections, cyanotypes and artists’ book and photobook works.